Well, that’s not exactly how Lesley Gore’s heartbreak hit “It’s My Party” goes. Maybe it’s not appropriate to relate my happy and incident-free birthday with this song as they are polar opposites. However, I keep on listening to “It’s My Party” every Birthday since after college. Maybe it’s my anthem of my self-pity party of growing old. Or, that I enjoy the major tonality and the nature of the chorus. I would cry at any party, even if it’s happy or not, right? Usually on Music Reactions, we take a look at what is trending right now in the music world. But, since today’s a special holiday in my home country, I decided that we should rewind and go back to the 1960s when one of my favorite songs was released. 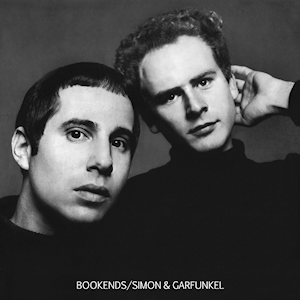 Simon & Garfunkel needs no self-introduction on this blog because they are well-known all throughout the world. As popular as The Beatles, this duo helped to revolutionize music by having signature songs like “Mrs. Robinson”, “The Sound of Silence”, and my personal favorite “Scarborough Fair”. The music they made together had a deep impact on America with many young adults relating their lives to one or more songs. I remember listening to Simon & Garfunkel a lot during my childhood as my mom would play one of their albums in the car. I always was in love their version of “Scarborough Fair” because it was so mysterious yet beautiful. The song was set in the key of D minor, which is an automatic yes in my favorites list as I love songs in minor keys, and displayed an intricate method of singing in rounds. But what is more shocking is that, according to Wikipedia. that this song is a protest song. Author Marc Eliot further this idea by writing that America “creates a cinematic vista that tells of the singer’s search for a literal and physical America that seems to have disappeared, along with the country’s beauty and ideals”. That is a shocker! But, considering that idea is pretty deep compared to my basic one. The thing that I love about this song is the crescendos and decrescendos that the duo smartly uses. One of the best examples is during the riveting pre-chorus as the duo gradually gets loudly to free up some emotions. Another example would be during a taste of the musical theme during the “And walked off to look for America” portion. Here, Simon & Garfunkel sings in a semi-whisper as they slow down the rhythm as if they are taking a break to ponder over things. Many have said that the soprano saxophone and the pipe organ are fundamental pieces to the song as they lay the foundations for “America” to be classified as an American folk song. Truthfully, I could care less about what kind of instruments are used in the song because the vocals are what makes this song great. The power and emotions behind Simon & Garfunkel’s voices is the main reason why I fell in love with this song. If you haven’t heard “America”, I suggest you listen to the link below. It’s a memorable song that a lot of Americans and even people around the world would say that it’s one of their favorites too.